In the early years of high school, I was a part of a community that produced game mods (which I’ll now call AAA). There was another community who also developed similar mods (which I’ll now call BBB). Not surprisingly, there was a lot of animosity between the two communities and it quickly escalated to more than competing by building better products. While both communities didn’t condone it, members of both eventually started launching DDoS attacks against other. The impact of these attacks was more than just taking down the community forums. Since both communities developed game mods, downtime of the servers meant downtime for their thousands of users. Members of both communities launched DDoS using boaters. 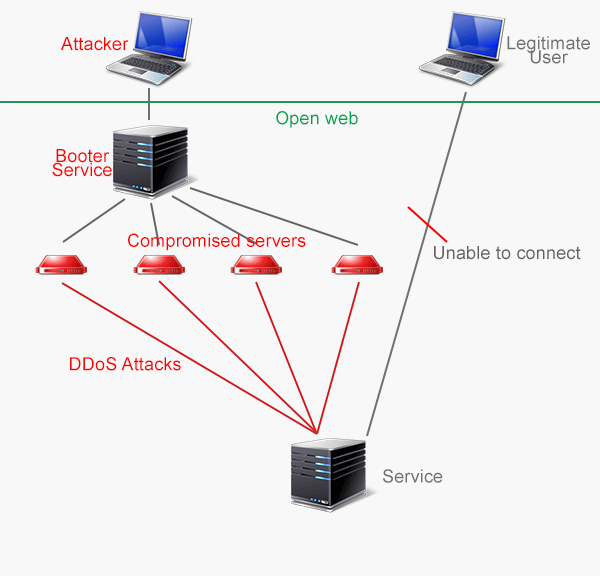 Booters, or “network stress testers”, are DDoS services usually comprised of compromised dedicated servers that send massive amounts of traffic. Booters are relatively cheap and extremely easy to use – the perfect option for script kiddies. At the time, an effective booter would cost just a few dollars for an hour of DDoS’ing. If someone wants to take down a server, he goes onto the booter, types in the IP and port, and the attack is sent. A screenshot of a booter’s control panel. The downtime had a significant impact. Too much downtime would cause users to leave. Losing customers meant a loss in revenue. At the time, both communities had peaks of 10k simultaneous users each – not a small number. The problem, I figured, was that AAA.com’s main server IP was publicly visible, so that anyone with half a brain could just type it into a booter and launch DDoS attacks. The solution, in my mind, was to find a way to prevent the true server’s IP from being publicly visible. How could this prevent DDoS you may ask. Couldn’t an attack just flood the reverse proxy? Another good question. A domain, such as AAA.com, has DNS records known as “A records” – the main DNS record that maps a domain to an IP. For example, AAA.com would resolve to it’s server’s IP, 123.123.123.123. This allows attackers to take the IP and DDoS it. What’s lesser known is that a domain can have multiple A records. A browser connecting to AAA.com will automatically choose one of the A records (usually the fastest to respond). If the IP does not connect successfully, the browser will automatically choose another. The architecture for this system was fairly simple. The AAA main server sat behind multiple reverse proxy servers. These reverse proxy servers were just cheap VPS servers running squid. In the initial test run, we rented 10 budget VPS’s, all from different providers and datacenters. The total cost was less than $100/month. After deploying the reverse proxy servers, downtime literally fell to 0%. 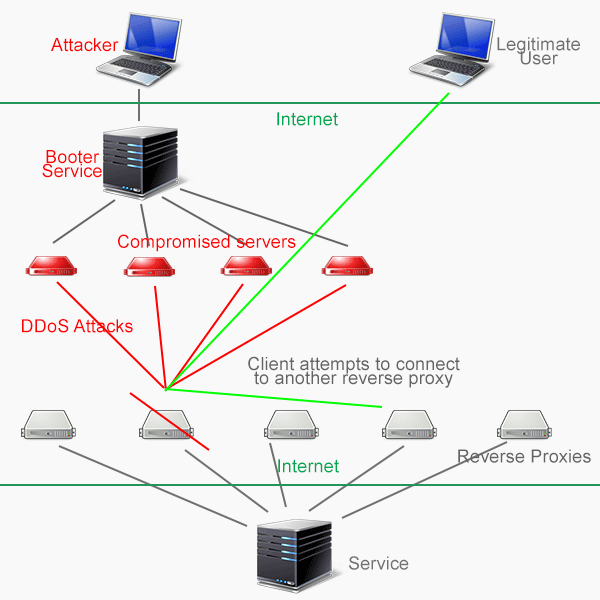 When the attackers from BBB tried to launch booter DDoS attacks, they could only enter 1 IP at a time, effectively taking down just one reverse proxy server. It is, however, very easy to see that they could’ve launched 10 simultaneous DDoS attacks on all the reverse proxy servers. I planned for this by buying a couple redundant VPS servers that I could quickly add in case all 10 main proxies fell. I never had to resort to them. Whether it was BBB’s lack of knowledge or resources, the 10 reverse proxies stood solid. I imagine it’s not hard paying for 10 concurrent DDoS attacks, but I suppose it would cost significantly more money. I don’t think there was ever a time where more than 3 reverse proxy servers were down. Since the real server sat behind the reverse proxies, an attacker couldn’t directly attack it. Using the cheap VPS servers as DDoS fodder was great for us – but not so much for the providers. Certain ethical judgements were passed when all of this was set up. It was known that a DDoS attack on a VPS may also take down its neighbors. As a result, we were kicked out of a few providers. While this was a good solution a few years ago, a lot has changed. 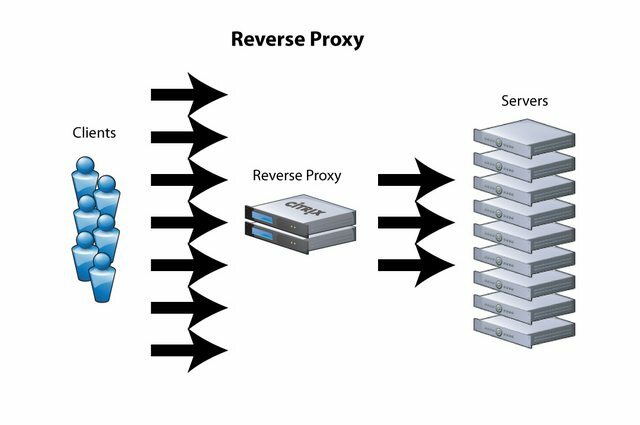 This method is still very viable and I see a few companies actually offering DDoS-protected reverse proxy servers. But with the introduction of Cloudflare and Incapsula, which are both cheaper and easier to set up, I wouldn’t recommend using reverse proxies anymore for DDoS protection. Of course, it’s best to just be on everyone’s good side and not get DDoS’ed. Thanks for writing this — good read. Cloudflare and Incapsula don’t work for game servers. I am sure a lot of people are interested for game server protection; I am currently using http://AthenaLayer.com reverse proxies for my Minecraft game servers. I operate one of the largest game servers in the world with over 5,000 players online at a single time. AL is perfect for me especially with the cloud anycast system. Well how to add multiple A point as listed in your above method. Does your blog have an RSS feed I could follow? 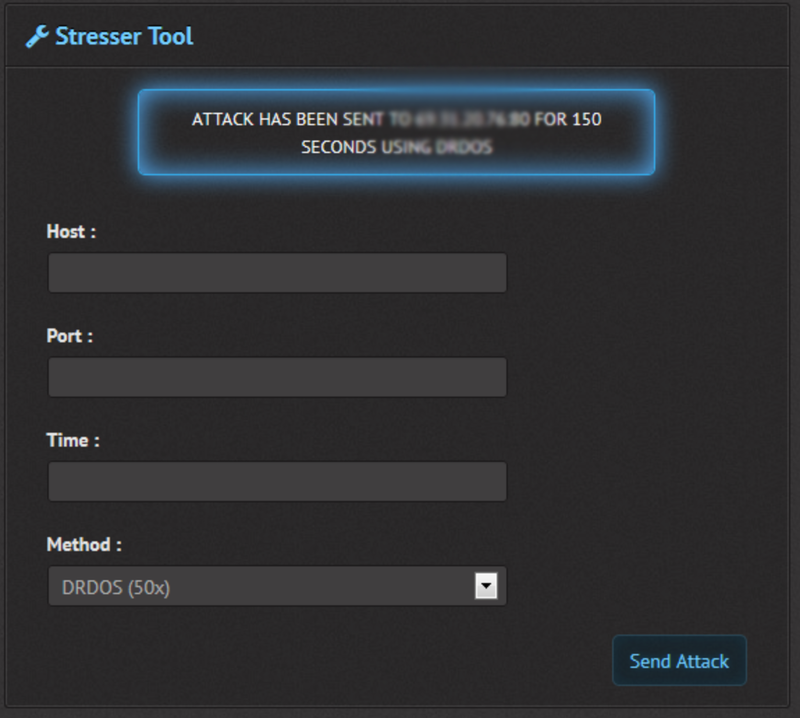 Thanks for the screen shot about Proxy DDoS Protection. It helped me a lot. I had a trouble with my DDos and now it is okay! This kind of thing is silly when all that needs to be done is ask your upstream provider to rate limit single IPs, and to enable Unicast Reverse Path Forwarding to prevent forged IP headers, and run filters on traffic if necessary. Cloudflare exists primarily as a guardian against things that proper networking practices wouldn’t prevent, like SQL injection, and the ability to profile visitors habits to identify bots. A dedicated server and good relationship with provider can easily mitigate a DDoS attack, however. Before you assume you have the solution to a program like this, try looking into what methods the attackers use. In my experience with the “DDoS for hire” market not cleverly named “Stresser Market”, Most of these are just simple calls to a server using methods such as DNS Amplifcation. You can’t block a single ip address when you have hundreds/thousands coming towards you. Not only are they from real DNS servers but multiple DNS servers. Everyone wants cheap and reliable service. All the things are fairly explained. I must say awesome.